Providing dust-free appearances has always been the motto of commercial cleaning firms. 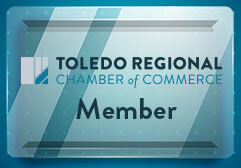 At Optimum Cleaning Solutions, we believe our Toledo businesses deserve more than this. 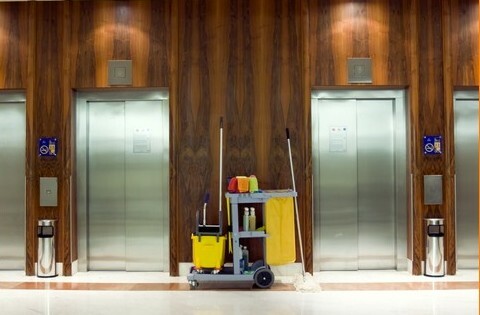 Our professional janitorial service features health-conscious practices ideal for maintaining a clean and safe workplace. From a cleaning standpoint, nothing reflects the image of your company like a fresh and organized atmosphere. Studies have shown that providing a clean and healthy environment can help motivate employees and improve a client’s outlook. Our experience in the industry has allowed us to expand our cleaning methods from a basic strategy into a much more advanced approach. “High-touch point” is a term used for surfaces that contain the highest percentage of bacteria. Areas such as door handles, light switches, restroom fixtures and dispensers are among several others in this category. Proper sanitizing of these areas reduces the spread of germs, promoting a healthier environment for staff and visitors. We have implemented an invisible marking system, only revealed under a hand-held UV light. Our operations manager places a small mark on several touch points throughout the building, returning the following night to determine if the mark was removed by our cleaning personnel. This practice confirms each of our team members are properly trained within the system and our advanced hygiene efforts are upheld. OCS features Eco-friendly strategies, coupled with highly-efficient sanitizing procedures. We are constantly adapting to the most advanced techniques and products available on the market today. Our recognition of the continuously evolving janitorial industry allows us to provide exceptional quality and continually improve our services.